As diseases are often multifactorial in origin and hormonal imbalance is often routed through the Pscho Neuro Endocrine axis identifying this over an evolution in time allows us to judiciously use our forces acute/phase /chronic. This allows us to understand the need for auxiliary aids like core healing or cognitive therapies to aid recovery, it also helps us in identifying the chronic deep acting remedy , psychotherapy often will require interventions with both couples to aid the healing process. These are akin to the female role gentle at times furious at times mild dormant , mankind respects her sensitivity and fears her reactivity ,she is the susceptibility and understanding her will unlock the key to management remedial and non remedial and on our posology. Appreciating what is curable and what is in the scope of our science will allow us to be a learner in this process The study of a drug is not dependent on how we master our memory for symptoms but how we pick up their essentials that build a portrait build by the inquisitors ability – As stated by M Boger. 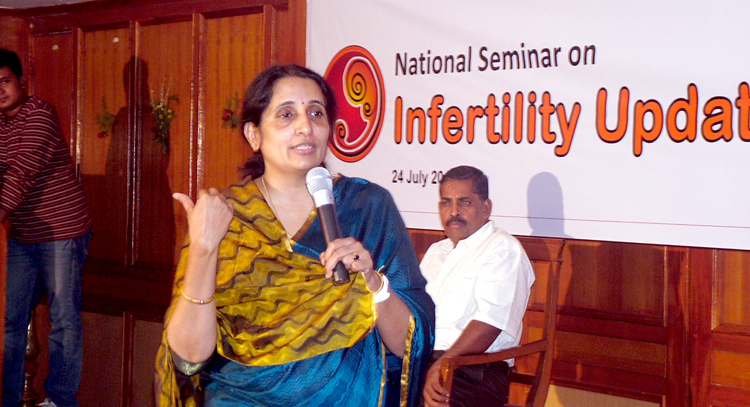 "To be of this earth is to know the restlessness of being a seed, the joy of growing to sun, the mystery of death and the miracle of birth"
Dr. Latha Devarajan,speaker on the topic “Homoeopathic Management of Female Infertility” is given here. 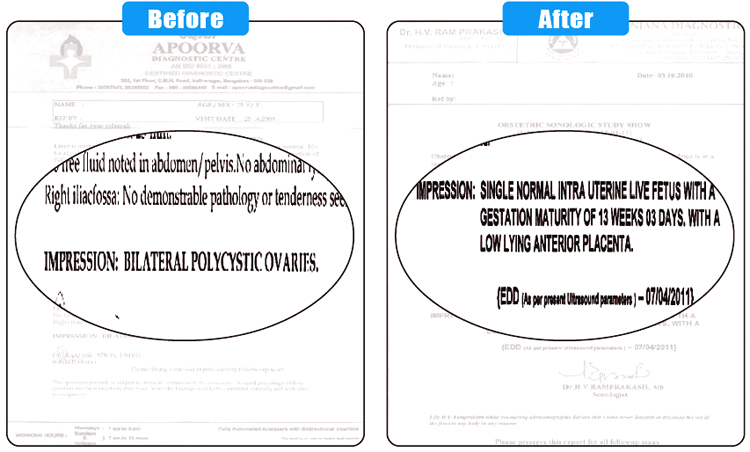 A Patient married since 2 years age 29 years ,software professional ,husband also software ,presently in nuclear family ,had one natural abortion in January 2010 during which got diagnosed with hypothyroid has been advised Elthroxin and comes with irregular menstrual cycles and diagnosed PCOD . Her consultation was June 12th 2010. 1. Menses irregular since six months ,once in thirty or forty days for three days and bleeding scanty ,--Ultrasound showed PCOD changes in ovary. 2. Hypothyroid – TSH 3.2 ( taking Elthroxin since Jan 2010 ,asymptomatic. 3. Head pain <sun< fasting for one or two days then better on its own. 4. Git bloating , sour taste < outside food and spicy food. Mother has osteoarthritis since 50th year father NIDDM since 40th year. Patient described herself as a second born child , had an elder brother , father was too strict and did not give her freedom and also would scold her if she didn’t do well , she would keep within not share with anyone and felt till her teenage she was a reserved introvert child ,then she opened up and felt she started rebelling .she felt she would never be a “doormat “ like her mother and would study and work hard and be independent She went to study INA college outside and studied management (MBA ) in this tenure she found a boy friend and they shared a relationship for three years , during this period she went through suppressed anger as he would often put her down saying things like she doesn’t know anything and would not let her participate in theatre ,subsequently after she got a job she left the place and moved out her she met her husband and they got married ,presently she is comfortably settled and is looking forward to her pregnancy ,There have been stresses at work like boss not complying to request and not really looking at her team ,she feels hurt ,but since three months the boss has changed ,so she is comfortable.